WeddingEngine is a versatile and flexible wedding theme that allows you to share and arrange the big day easily and effortlessly. 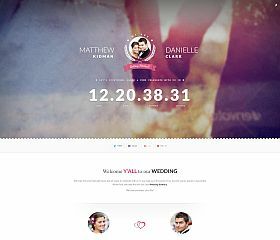 Included in the theme you will find: a countdown to the wedding date, integrated multimedia (video and photos), events section for sharing various dates, guests notes, built-in RSVP, front-end management and administration, responsive layout and design, and optimized for speed and load time. 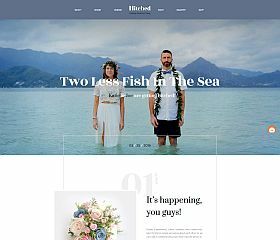 Hitched is a responsive, full-width wedding theme for WordPress – with everything you might want or need in order to share details, memories, and information about your big day. With a built-in RSVP form and gift registry (among many other options), this theme provides style and functionality. Wedding Day is a trendy and stylish theme that gives you a great way to show off all of the details of your upcoming marriage. 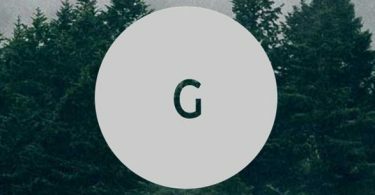 The design is responsive and looks great on any device, it has built-in RSVP functionality, a custom-built countdown timer, filterable image gallery, and many other features you will want to take advantage of. 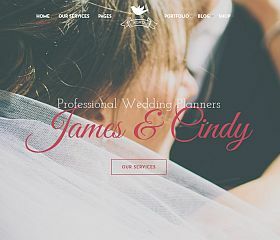 Just Married is a theme for WordPress that combines elegance in design and beauty in styling to create a simple, yet eye-catching wedding website. 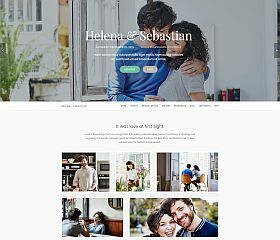 In addition to the responsive design this theme also includes: RSVP capabilities, integration with your social media, support for a registry (with links to the stores you have selected), multimedia hosting (photos, videos, etc. ), and other custom features. Wedding is a clean theme that uses a flat-style design, modern layout, and accommodates all of the different types of information and content you would want to display about your big day. 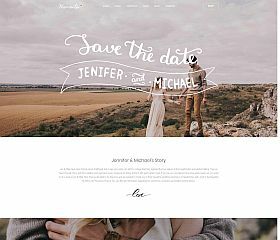 The theme features include: responsive layout and design, custom templates, RSVP functionality and guestbook, infinite scrolling, support of WordPress post formats, countdown timer, and other extras designed specifically for a wedding site. My Wedding is packed with features that enable you to create the perfect site to organize your wedding and share details about the day. Designed for mobile devices (including a Retina-ready, responsive layout), it includes: RSVP functionality, custom-built photo gallery, customizable pages, shortcodes, Bootstrap integration with HTML5 and CSS3, powerful theme options panel, and a handful of other features. 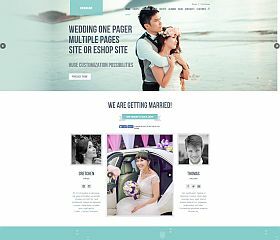 Wedding is a modern and feature-rich WordPress theme built specifically for weddings and organizing/sharing your big day online. 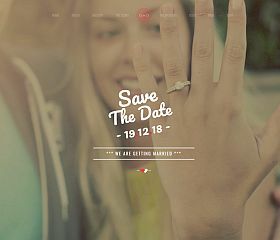 The theme includes: a count-down timer to the wedding date, a timeline, registry section, parallax design elements, featured content slider, events section, RSVP integration, built-in shortcodes, as well as multiple layouts and customization options. 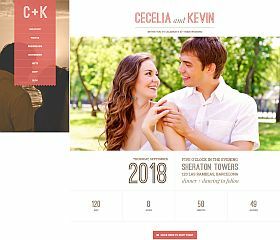 Wedding & Marriage is a theme that comes built with HTML5 and CSS3, features parallax design effects, built-in RSVP form, and pre-made templates for you to choose from. 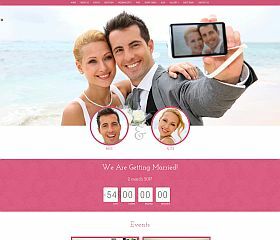 CuckooLove has all of the features and functionality you could want for setting up your wedding site and planning online. Features include: custom post types for various content, responsive design and layout, home page customizer, shortcodes, support and integration for (Google Fonts, FontAwesome, etc), image/content sliders, and a theme options panel for customizing. Moments was built for engagements, weddings, anniversaries, or other special occasions – giving you all of the tools and features you might want packed into one complete package. Dozens of variations and template options, custom shortcodes, RSVP and guestbook functionality, preloading effects, responsive and Retina-ready layout, eCommerce capable, parallax design elements, and other features too numerous to mention. Wedding Day features a clean, minimalist design – and allows you to easily highlight the important information about the wedding that you want guests to know about. The single-page layout includes: parallax scrolling elements, timeline feature, photo galleries, blog section, responsive layout and design, quotes area, RSVP, bridesmaids and groomsmen section, event details, and theme options to style your site and design to your liking. Eternity offers a clean, refreshing, and modern design – responsive and Retina-ready, this theme will give you the perfect way to share details about your wedding. 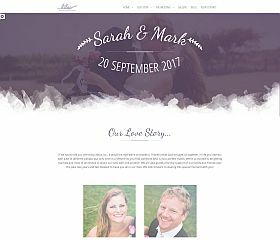 Built with custom features like Google Maps integration, countdown timer, custom post types for slides and gallery, and the ability to customize – this theme provides you with a complete wedding solution. Qaween is one of the most full-featured wedding themes for WordPress anywhere, giving you a complete solution for any type of wedding. Dozens of features are included: parallax design elements, soundcloud audio integration, countdown timer, a fully responsive layout and design, multiple custom page templates and post types, unlimited color schemes to choose from, and much more. 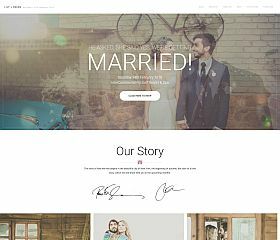 Marriage is one of the most popular wedding themes for WordPress, and one of the top-selling in its category on ThemeForest. The very clean and simple design provides your visitors with all of the information they might want to know at a glance, and manages to keep a structure that is both versatile and engaging. With dozens of features included, it offers one of the most powerful, robust, and customizable options in this collection. 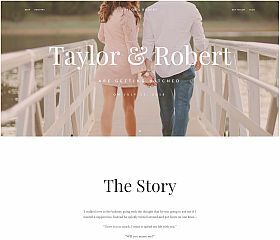 Taylor is a theme that comes with full-width images, parallax background effects, and a super clean, minimalist design – the perfect choice for announcing and organizing your wedding. 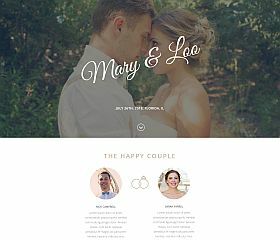 Lily is one of the cleanest and simplest wedding themes for WordPress available, this theme takes full advantage of ample whitespace to provide guests with a refreshing and easy-to-browse site for you. 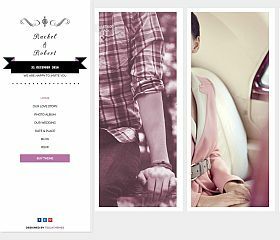 Lilac is a modern and elegant single-page wedding theme that is built on Bootstrap and works across all devices. Included in this simple, yet powerful theme: custom widgets and shortcodes, parallax design elements, theme options panel, Google Maps, RSVP form, photo gallery, Instagram and Twitter integration, timeline section, and dozens of other options and extras have been included. 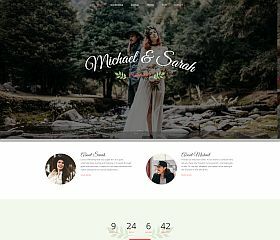 Merdian Wedding allows you to provide all of the information your friends and family might want about your wedding with a simple and beautiful, single page theme for WordPress. 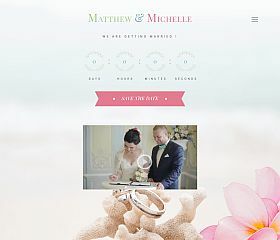 In theme you will find content areas for schedule, groomsmen and bridesmaids, RSVP-ing, blog updates, photo gallery, and customization options that allow you to control the way your site looks. The Wedding Day theme features: built-in countdown timer, RSVP functionality, guestlist, and comments, this theme provides all of the features you might want when wedding planning or sharing information about the event. 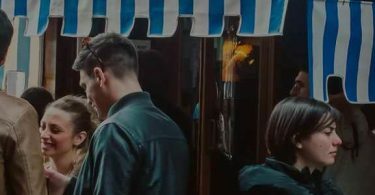 XOXO captures your visitor’s attention through its beautiful use of multimedia – whether you’re showcasing photos, or videos – it’s a truly captivating and attention-catching theme. Features include: a count-down timer, single-page layout, bride and groom bios, timeline, photo gallery, wedding information with draggable timeline, bridesmaid and groomsmen information, maps integration, animation effects, and the ability to RSVP online. 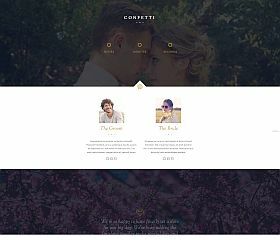 Confetti is a responsive, one-page theme for WordPress – that displays everything about your wedding in a stylish and elegant way. With unique features like parallax design, a timeline section, photos, RSVP form, photos, support for child themes, background audio player, and more – you can give your guests the information they need to know before the big day arrives. Celebration is a minimalist WordPress theme that exudes class, style, and sophistication. With ample us of whitespace and large content sections for displaying the various information about your event, it offers a sleek and refreshing look that is sure to impress – and includes 3 different styles to choose from: Wedding, Class Reunion, and Wedding Planner. 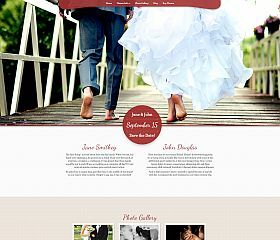 Idylle is a theme with modern design, effects, and features – making one of the most compelling wedding themes available. Features include: easy-to-use theme options panel, responsive layout and Retina-ready design, built-in music player, coded with HTML5 and CSS3, custom-built contact form, multiple demos/templates to choose from, and a drag-and-drop page builder. 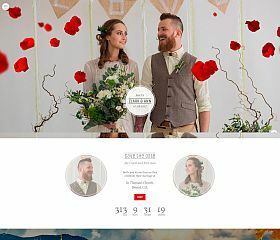 Forever is a responsive Bootstrap WordPress theme that takes a mobile-first approach, and designed for weddings and wedding planners. Optimized for speed, this theme includes: parallax background elements, boxed and full-width layout options, and dozens of other features that are sure to impress you and your visitors. Monument is a clean, elegant, and beautiful WordPress theme designed for weddings. The theme includes: a countdown timer to the big day, Retina support (for crystal clear images on screens), built-in galleries, blog section, and the ability for guests, friends, and family to RSVP online. 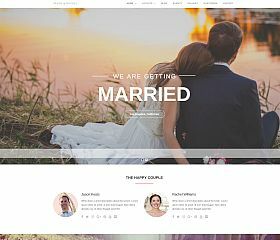 Honeymoon is an ultra-modern, ultra-stylish, and ultra-functional WordPress theme for sharing everything about your upcoming (or past) wedding. With parallax design elements, countdown timer, events calendar (for showers, the wedding day, reception, etc. ), photo album, guest book, RSVP functionality, and social network integration – you can keep everyone up-to-date and informed. 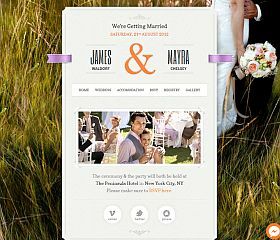 Perfect Couple is a theme that brings all of the information and details about your wedding together in one place. It displays all of your content on a single page, and includes: a full-screen image or video background, special content sections (“about us,” “love story,” “fun facts,” and more), countdown timer, wedding registry, maps integration, gallery, and more. 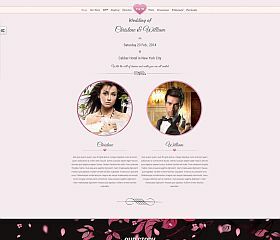 WP Forever features a beautiful, responsive design with parallax elements, animations, and modern style that make it an excellent choice for any wedding. Share information for guests, friends, and family to see – while features like the countdown timer, bridesmaid and groomsmen sections, gift registry, online RSVP functionality, preloader effects, and multiple layouts make this a great choice. 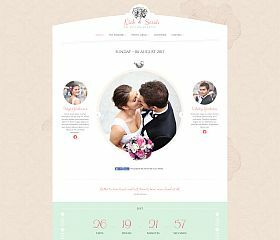 Enlance is a flexible, versatile, and modern WordPress theme specifically built for weddings. 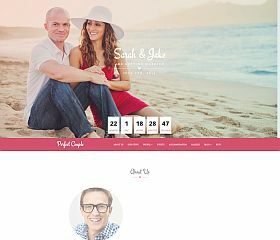 The theme includes: built with Bootstrap, high-res full-width slider, countdown timer to the wedding day, RSVP form built-in (AJAX), integration with Amazon for registration, lightbox photo gallery built-in, shortcodes, theme option panel, and other custom enhancements. Between planning, organizing, arranging, and meetings (caterers, florists, and family) – a wedding can be a difficult and daunting task. Fortunately, you can keep up with most of it by setting up a website for your big day, and if you use WordPress- then you have plenty of themes to choose from that can assist you in distributing information to those attending. 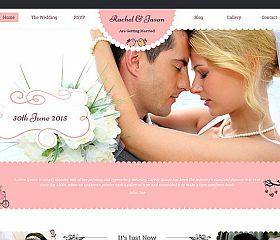 Many of the WordPress wedding themes offer special, custom features and extras that make setting up your site a breeze. From taking reservations and accepting RSVPs to sharing photo albums and notifying guests of what’s happening – you’re sure to find a design that suits the occasion in the roundup below.